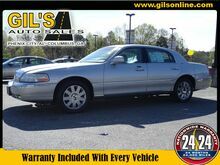 This 2000 Lincoln Town Car Signature includes a traction control and anti-lock brakes and is a car that deserves some serious attention. It comes with a 8 Cylinder engine. This one's a deal at $7,995. Want a 4 dr sedan you can rely on? This one has a crash test rating of 4 out of 5 stars! Rocking a sleek tan exterior and a gray interior, this car is a sight to see from the inside out. Come see us today and see this one in person! 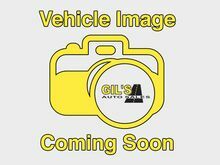 It doesn't get much better than this 2006 Lincoln Town Car Signature, which boasts a backup sensor, parking assistance, dual climate control, traction control, anti-lock brakes, dual airbags, and airbag deactivation. It comes with a 8 Cylinder engine. We've got it for $10,995. With a crash test rating of 5 out of 5 stars, everyone can feel secure. Rocking a suave gray exterior and a gray interior, this car is a sight to see from the inside out. Call today to test it out! 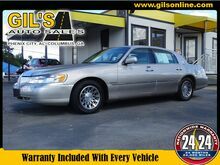 Don't miss out on this 2003 Lincoln Town Car Cartier! It comes with a backup sensor, parking assistance, dual climate control, traction control, and anti-lock brakes for an even better ride. It has a 8 Cylinder engine. This one's on the market for $12,995. This one scored a crash test rating of 5 out of 5 stars. With a charming silver exterior and a gray interior, this vehicle is a top pick. Call today to test it out!